We can get you the BEST value on the purchase of a new or resale home as a home buyer! The Lang Group specializes in knowing the new and existing inventory of homes for sale throughout the Phoenix area. We have up to date information on the current specials and Hot Deals being offered by area builders and can help locate and negotiate the best value for your money. 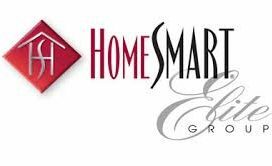 We are a member of the prestigious HomeSmart Elite Group, the largest brokerage in Phoenix. Our experience, expertise, reputation and relationships allow us to bring you the best homes at the best prices. We realize that buying a home may be the largest single transaction of your life. As a home buyer, having the right representation in the home buying process will help protect your interests. Having someone with experience will make all the difference in the process and the success of your purchase. We have helped hundreds of buyers purchase their dream home. As your buyer's agent we will help you find the right property, negotiate the best possible price for your new home, help you secure the best financing and serve as your advocate throughout the entire home buying process. Our goal is to exceed your expectations throughout the process. Our Realtors are familiar with all areas of the Phoenix metro area and can assist you with both resale or new home properties. Please complete the Buyer's Request Form or call us at 602.476.2044 for assistance. In order to purchase a home in Arizona in today's market, you must be pre-qualified by a lender. It's important to talk with a lender to review your Financing Options and determine your best loan program and lowest monthly payment. If you do not already have a lender we can assist you with finding one. As the #1 residential real estate brokerage in the area, our knowledge of the various lending programs and vendors will provide you the best possible financing. We'll help you determine your maximum purchasing power. Fill out this Pre-Qualification Form to get started. We work with many first time homebuyers and can help guide you to the right lender or program to help you secure the most advantageous options for your budget and goals. We are also certified Military Relocation Specialists and enjoy helping veterans and active duty military secure financing and housing in the area. "You are great tour guides. Being from Canada we didn't know what area we wanted to live in, just wanted to be close to GOLF. You were knowledgeable of so many different areas and patient to show us until we found the right one. Thanks for helping us negotiate such a great deal on our new vacation home." "Dewitt and Sharon Lang are amazing realtors and truly great people. I started the home search process on my own using Trulia and called on one of their listings. They asked if I had my own realtor (I didn't) and offered to meet me that weekend to discuss my needs. They are extremely knowledgeable and went above and beyond for me every step of the way. They were available day and night by phone, email, and text to answer all of my questions and calm my nerves. They have the patience of saints and are just incredibly warm, lovely people who truly care about their clients and getting them into the best home for their needs and budget. I feel so lucky to have stumbled upon them and cannot imagine what a nightmare buying my first home would have been without them. I would recommend them unconditionally to anyone buying or selling a home." "DeWitt and Sharon take the word "service" to heart! To engage them in the process of selling or buying a house is to connect to dedication and determination to serve and satisfy your needs. They are first rate professionals who perform far and above the ordinary expectations for realtors. They take on finding one a "home", not only a house, as a calling. There are no better advocates for buyers' or sellers' interests. They are invaluable partners in anyone's real estate needs. They never give up...they bring you home." "Believe me, WHAT A DIFFERENCE A REALTOR MAKES! Sharon and DeWitt are as good as it gets. I now have a beautiful home where I am very happy. They took such good care of me through the entire process and made buying a home an enjoyable and exciting experience. My prior realtor made it a nightmare. Sharon never ran out of energy, showing me house after house, and when we found one, the paperwork was ready right away. Amazing. They know exactly what they are doing. You could not be in better hands!" "DeWitt and Sharon did an amazing job helping me find the perfect house. It was my first home and they stuck by my side and made sure I fully understood the process. They made house hunting non-stressful, pressure free and exciting." “Words cannot express the ease and trust that my husband and I felt almost immediately with Sharon and DeWitt. We felt we were placed in truly caring and professional hands, allowing us to trust them through the process in a relaxed, enjoyable way. Even when the variables in choosing presented themselves, their patience and expertise made the decision clear to us, resulting in our purchasing the perfect home." "We are very grateful for your services. We were anxious about buying our first home, but you made the process so comfortable for us. We love our new home and would love to have you over so you can see the changes that we've made to it." "DeWitt & Sharon went above and beyond in order to meet our needs when searching for our new home. They provided us with knowledge and answered all of our questions to make the best possible choice. No need to search for another realtor. We are very fortunate to have found them! You guys Rock!" "Thank you for helping us find a home for our daughter. We were extremely fortunate to get her into a home as easily as we did. I had heard horror stories from people trying to get into the Phoenix market without success." "Thank you for helping us find our new home in Arizona. I know it was a bit of a rush and a challenge with Nicole being 1500 miles away. Fortunately Nicole loves the house and our 14 month old daughter is babbling like she is happy with it too. Thanks again!" DeWitt and Sharon were awesome to work with. It was my first time to buy a house on my own without my husbands help. It was so easy with these guys. They responded quickly and their communication was great. They kept me in the loop and held my hand the entire way. I feel comfortable with the house and subdivision for my daughter to live in. Great realtors!